Keyword research is central to any PPC campaign. If you’re not bidding for the right keywords, then there’s no way you can drive the right kind of web traffic to your website. As is the case in any digital marketing campaign, you’d do well to understand the intent of your audience. After all, the words they’re going to enter in search queries are based on that intent. 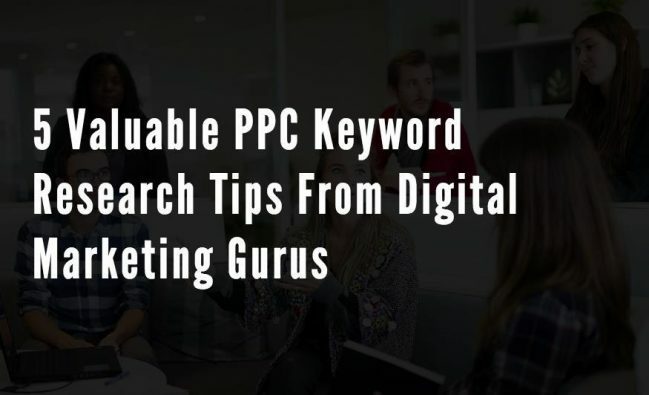 Finding the PPC keywords that will translate to a worthwhile return on your investment is no easy task, however. Pick a set of keywords to use in your PPC marketing campaign and chances are there are thousands of others who are targeting those same keywords as well. Getting website traffic is damn hard. If you have a solid plan to follow along with crucial SEO strategies, the hard task of getting organic traffic becomes a lot easier. Recently we optimized a website, having 10k visitors per month and grew the traffic to 200k visitors per month in just 4 months. 200k visitors per month all from organic search. And, we did all these using the same SEO techniques and strategies that we’re going to show you here. So, grab a cup of coffee and get cozy as this is going to be super actionable and a bit long.